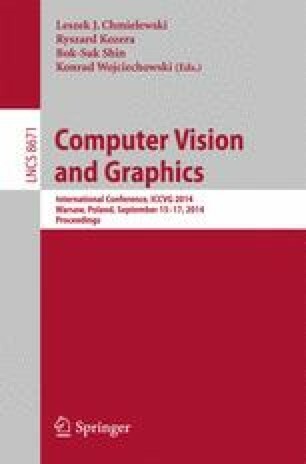 This paper presents the idea of fast algorithm for detecting horizontal lines in digital images. For this algorithm a dedicated procedure of data size reduction is proposed which utilizes the Monte Carlo method for preparation of lower size images from original High Definition ones. This approach is proposed for real-time, embedded systems or steering the mobile robot based on image analysis. The presented method is similar to downgrading the image resolution. The nearly real-time algorithm has been tested on real image data sets obtained from the mobile robot camera.